My fishing mentor, Lee Mitchell, has over the years often reminded me of his father’s favorite saying: “For every day a guy goes fishing, the Good Lord gives him two more days of living!” Little did I know that my fishing adventures with Lee Mitchell, Chuck Sheley, and Bob Hamilton would provide indisputable scientific evidence of this hopeful hypothesis! 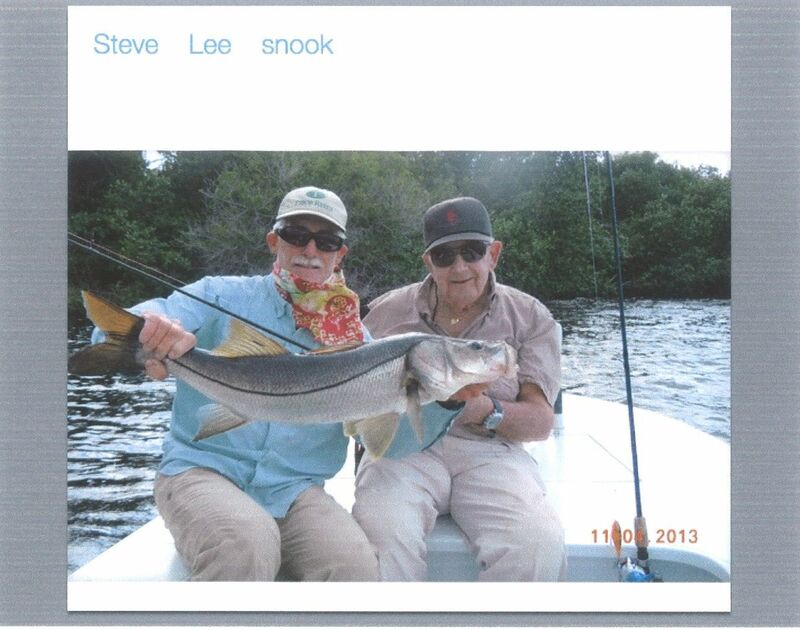 When Lee retired and moved to Florida in 1988, he bought a Silver King skiff and began to learn to fish the Everglades. In the early 90s, he was fishing as many as 150 days per year as he probed the wildness of the back country. Before moving to Florida, Lee ran his 32 foot Bertram while captaining his own fishing expeditions on Lake Erie. Conservative estimates (mine) place the number of fishing days on Lake Erie each spring, summer and fall at 90. Obviously, his fishing has served his longevity very well. I speculate that Chuck Sheley has spent more time fishing than anyone on the planet. 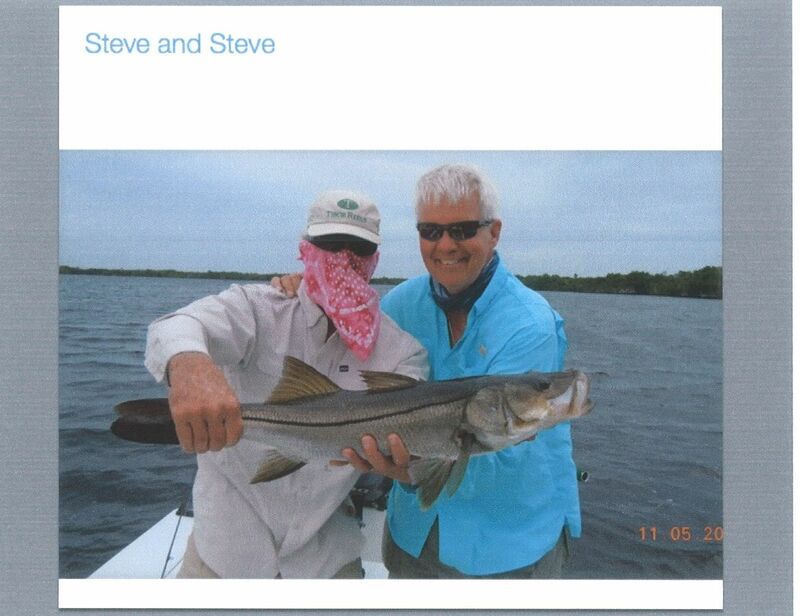 For the last 40 years or so, Chuck has fished for at least two weeks every year in the Florida Keys or the Everglades with Capt. Steve Huff. He has traveled all over the world with his family fishing. 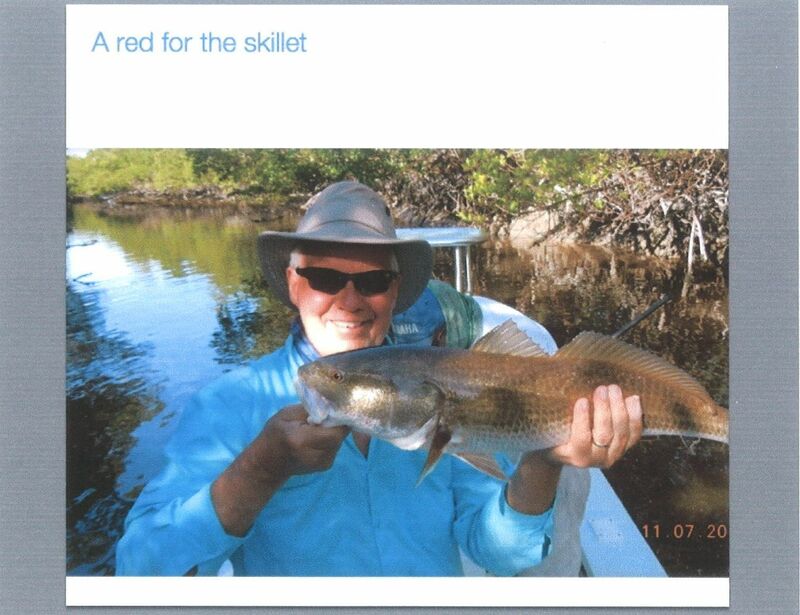 Chuck has fished with our Florida group for at least 15 years. He is a member of the Mad River Trout Club in Zanesfield, Ohio where he and his wife Nancy have had a longstanding once a week date to go trout fishing. Obviously, his fishing has served his longevity very well. As for me, the above three characters have been hauling me around with them to fishing holes in Ohio and Florida for years. I have also been known to do a little fishing of my own. Indeed, the title of my blog, “Front Yard Fishing”, is taken from the fact that I will stand by myself on dry land in front of my home and practice my casting. We happen to live at a three-way stop. While front yard casting over the last 10 years, I have conducted a scientific study which has reached the conclusion that the drivers of three out of every four cars stopping at the intersection will roll down the driver’s window and ask “are you catching anything?” I am hopeful that even when I am fishing in my front yard with no water and no fish, I am adding two days of living for each day spent casting. I will now provide photographic evidence of the working thesis that each day spent fishing gets you two more days of living. Chuck Sheley has provided the photographs which I use in support of my startling conclusion! Lee Mitchell, 84, alertly gazes up a tidal creek knowing full well that something is not quite right! How long can you, the reader, stand on the bow of the boat during a 10 hour fishing day? Lee proves that if you stand on the bow of the skiff long enough and cast often enough, very good things are going to happen! 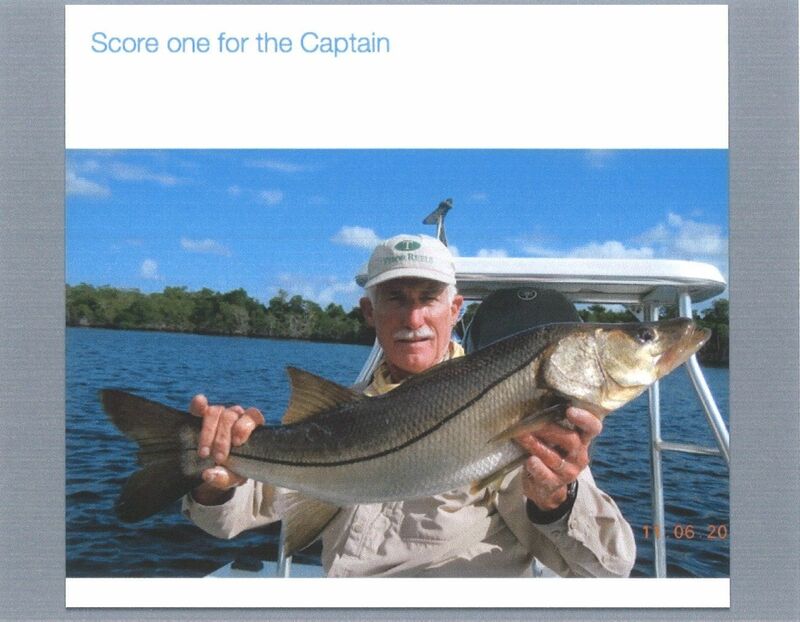 Apparently, this keeper snook caught by Chuck knocked Huff’s sunglasses off his head. We are not sure if it was the fish or the shock that the fish was caught that knocked the sunglasses sideways! Sheley Knocks Huff’s Sunglasses Sideways! 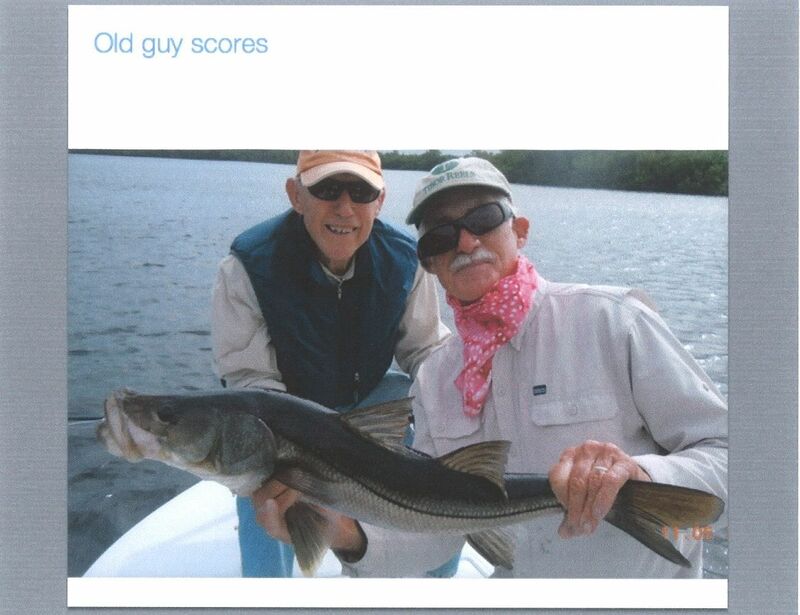 In their senior years, Chuck and Lee have become hoarders of Rapala Twitch and Rap plugs which are no longer made. We understand they own the last 50 of these fish catching plugs. Apparently, they are even willing to tie one on and cast it! Because of the fishing prowess of my colleagues, I often found myself in the position of enjoying the view. My wife informs me that getting adequate rest extends your life as much as fishing! Once in a while, I was actually allowed by my fishing buddies to fish in the creek. 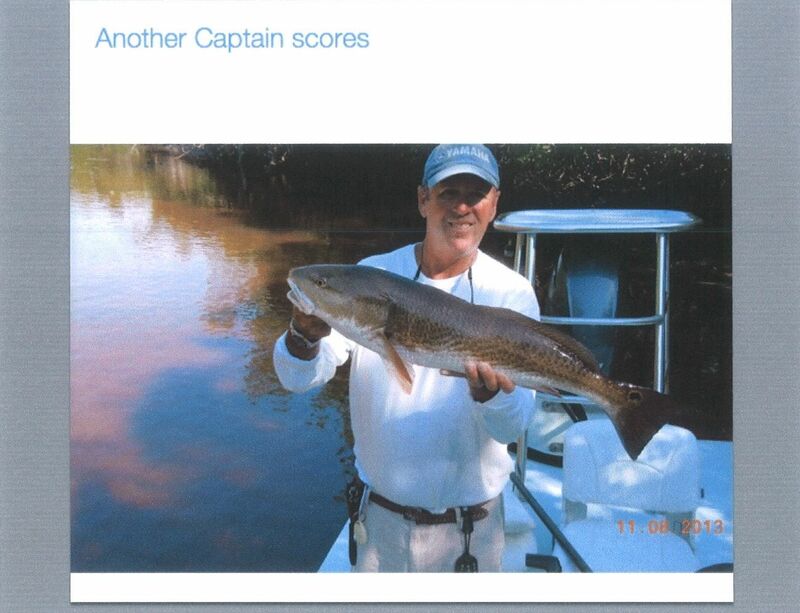 I guess it was because I promised to cook redfish when we got home! Steve Huff did me the great honor of permitting me to fish with a leader and knot which I tied myself! I call that moving up to the big leagues. Here is one of the fish caught on my own knots! We were quite reluctant to let Bob Hamilton fish. However, we were more than happy to let him clear cobwebs out of very narrow passageways between gorgeous clear bays so we could fish. 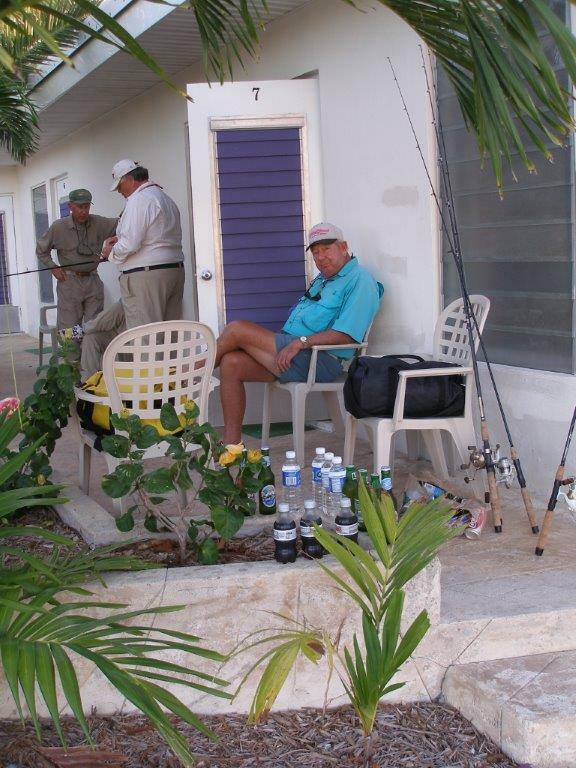 The four of us have often speculated that our guides enjoy watching our unparalleled fishing skill set. However, these last two photographs demonstrate without doubt the real reason they let us climb on their skiff. Our actual skills are so humble that Steve Huff can control his trolling motor with his feet and Andrew Bostick can control his trolling motor with a remote control, they can cast in third position on the skiff, and out fish us! I submit that the above photographs demonstrate without any question that you should go to your basement or garage, retrieve a rod and reel, go fishing as often as you can and live forever! 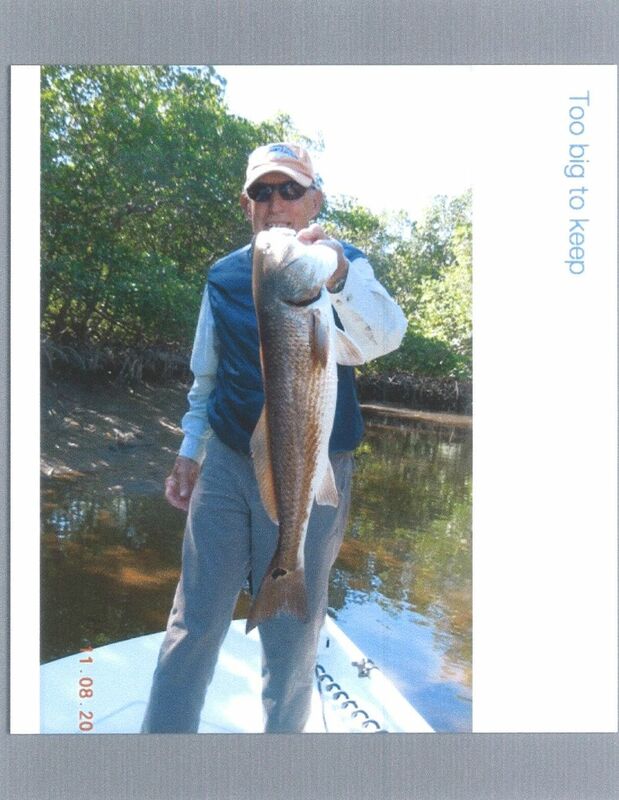 This entry was posted in Fishing Stories by Tarpon Slam. Bookmark the permalink.